▷ STX 1800-MG Review 2018 » The Most Versatile Meat Grinder? Small but powerful, the STX-1800-MG is able to handle large amounts of meat without any risk of blockage in the grinder — and it’s got a unique add-on that’s great for producing tomato juice. But the lack of varied speeds and other features might turn off people looking for a high-tech grinder, as there are few other extras that come with this model. 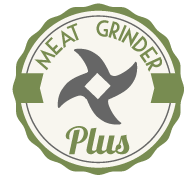 One of the things I like about this grinder is how large the standard features are because it means you get more bang for your buck regarding how much meat you can grind. There’s a pretty large feeding plate, and the tubes are relatively wide compared to other models. This means the grinder can handle a lot of food, cutting down preparation time. The grinder also comes with a fun tomato juicer attachment which takes all the stress out of making tomato juice at home. Other grinders might struggle to deal with processing all the parts of a tomato, but the special attachments that come with the STX-1800-MG make it hassle-free to produce a fresh, crisp glass of tomato juice in no time. This relatively small-sized grinder also packs a lot of punch, because every time I’ve tried it, there has been minimal leftover meat inside the grinder after using it. I rarely have to use the reverse function to clean any meat out, and even after using the grinder for an extended amount of time it doesn’t overheat and works at the same speed as when you first start it. That’s a huge relief, especially for busy cooks who need to process a lot of meat at once. Like other STX International grinders, it’s also easy to disassemble the parts such as the stainless steel blades. They all need to be hand-washed, so it’s nice to see that the company designed the grinder in a way that’s simple to take apart and clean. Unlike some other STX International models, the STX-1800-MG only has one speed that’s activated by switching it on. It does have a reverse function, but that’s it. Some of the other models have a few different speed options, which some cooks prefer. So if you’re looking for varying speeds of grinding this isn’t the best model for you. The visual design of the grinder is also pretty basic, with stainless-steel all around and nothing really is done to make the appliance look particularly nice. This might be a factor if you’re looking for something that is nice to show off in the kitchen. The STX-1800-MG lacks some of the exciting additional features of STX International’s other models, and it’s not exactly the best-looking grinder on the market. The lack of varying speeds is also a drawback. But it’s priced reasonably and for cooks just looking to do some casual grinding who don’t need a bunch of extras; it’s a good option.